Bulgaria’s Cabinet, at a meeting on February 20, approved proposed amendments to the Black Sea Coast Planning Act, including a ban on umbrellas, sun loungers, caravans and cars on sand dunes. Addressing a different issue, the amendments envisage fines of 2000 to 6000 leva (about 1000 to 3000 euro) for beach operators who unlawfully limit access to a beach or unlawfully charge admission fees. The amendments provide for a fine of 5000 leva for a property owner who blocks pedestrian access to the sea with enclosures. 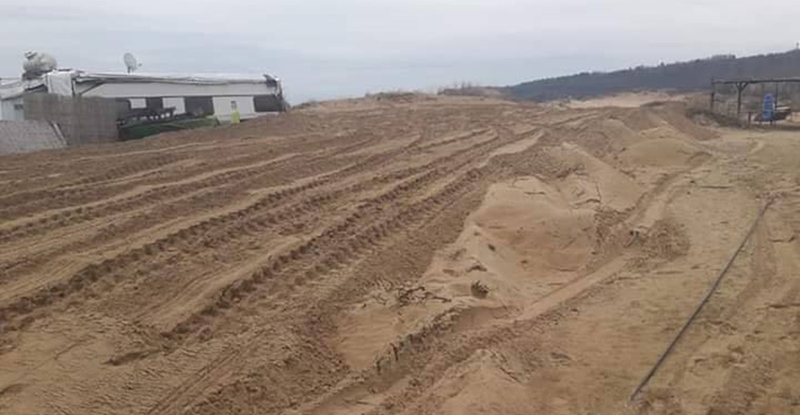 The proposed amendments follow a number of controversies in January 2019 about incidents at Bulgaria’s Black Sea, either involving construction – the lawfulness of which was disputed in a number of cases – and in one case, a caravan owner who commissioned a bulldozer driver to demolish a sand dune that was blocking his view of the sea. Over the years, there also have been numerous reports in the Bulgarian media about owners who put up walls and fences and deploy security to block people from reaching beaches. The amendments proposed by the government are subject to debate and a vote in Parliament.